Few of us stay with any one given employer for the entirety of our careers anymore. “One and done” career positions don’t fit for many people these days. Downsizings, layoffs and changes in personal or professional goals are major driving factors. 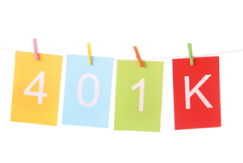 With fewer employers offering significant pensions, and the uncertainty surrounding future Social Security and Medicare benefits, today’s workers more frequently lean on 401(k) retirement accounts to create their own retirement security. So what of the job changers and their future retirement plans? Those 401(k) accounts established and left behind with previous employers represent a significant source of funds that might not be performing as they could. Some elect to leave those funds in their old accounts for convenience. After all, they aren’t going anywhere. But those accounts were often established under goals that may not make sense anymore. Workers start families, move to other locations and change career directions. If your old 401(k) is still following plans you made years ago, chances are it could benefit from a retirement reboot. The professional advisors of Lake Michigan Investment Services (LMIS) specialize in just this kind of reboot. Gather your 401(k) statements and contact LMIS for a free, no-bias evaluation of your retirement plans and goals. The younger you start planning, the better your prospects for a happy, fully-funded retirement. Call (616) 234-6358 today!